Humans, living in small groups and with inadequate teeth, weak claws, and lack of speed, were no match for the other beasts. Biological evolution made up for these deficiencies by selecting for human moral sense and the capacity (after the emergence of culture) for law and justice. Cultural evolution selected for enforced cultural norms so that people could live in larger communities. Moral biology and enforced norms were selected for by a single selection force, the benefits of cooperating with one another. This ‘gift’, direct from biological and cultural evolution, saved humankind from destruction: the ‘gift’ of aidós and díkë: a sense of right and wrong. Importantly, biological evolution gave this not just to a few people but to everyone; and this universal sense of right and wrong – the foundation of civil society – was to be our salvation. 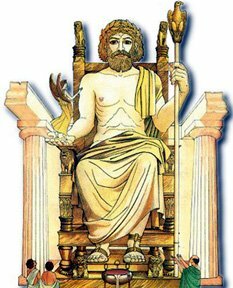 Protagoras’ mythical account of why and how Zeus gave people a moral sense is the earliest account I am aware of (if we substitute “biological and cultural evolution” for Zeus) of the brand of evolutionary morality now coming out of science of morality studies. And in arguing (unfortunately successfully) for “something much more intellectually grounded and much less commonplace” Socrates launched most of the trouble and confusion in moral philosophy ever since.